Last month, HBO programming president Casey Bloys said Season 8 will premiere in the first half of 2019. 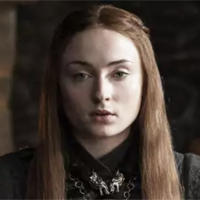 But Game of Thrones visual effects supervisor tells The Huffington Post the final season won't be eligible for next year's Emmys, which has a cut off date of May 31, 2019. “In two years we’ll be eligible for the Season 8 work,” he says, “which we’re just beginning now.” That likely means that most of the final season episodes will air after the May 31 cutoff. Bauer adds: “We’re going to be toiling away on Season 8 until May of 2019, so it’s eight or nine months away. But the prequel is starting to shoot in February, at least the pilot. So we’ll still have quite a lot to do on Season 8 when they’re beginning.” Bauer says "the situation changes every week. I know I’m not doing anything else but Thrones until May of next year.” Asked to respond to Bauer's comments, HBO said a premiere date hasn't been announced. ALSO: HBO reveals a very brief glimpse of Game of Thrones' final season.